A big thank you to Malia Talakia for organising a twin screening of ‘Fun(d)raising’ and ‘My Lost Kainga’ at UNITEC on the 6th September as part of the inaugural Tongan Language Week. Read press announcement here and here. 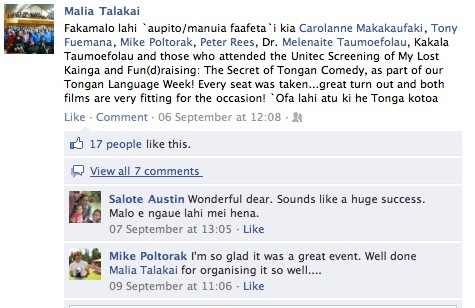 Learn more about Tongan Language Week here.